I have substantial experience with commercial disputes involving contracts or business torts, the defense of professional negligence claims, and environmental litigation in both state and federal courts. 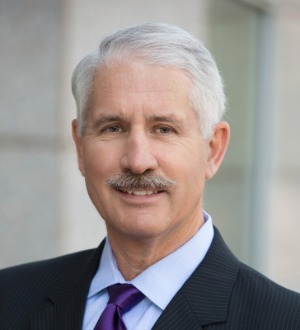 Having handled civil litigation matters in Phoenix and throughout Arizona for more than 35 years, my experience in commercial and business disputes includes breach of contract and fiduciary duties, fraud and misrepresentation, civil RICO, and securities litigation and FINRA arbitrations. I have defended numerous professional liability claims for physicians, attorneys, architects and appraisers. As a former Hearing Officer for the State Bar and a member of the State Bar Professionalism Committee, I am also available to consult regarding ethical and professionalism issues. My experience in environmental litigation extends to CERCLA and state law equivalent actions and related toxic tort claims. As a long-time Judge Pro Tem, I have conducted many settlement conferences and is available as mediator to assist in private mediations. Recently, I began representing injured parties in personal injury and wrongful death claims. Assisted in prosecuting the claim of an Army veteran who suffered serious head injuries in a motorcycle crash. Counseled a multinational mining company regarding remediation obligations at a former mining site. Represented a former customer of a national title and escrow company in pursuit of breach of contract and breach of fiduciary duty claims. Assisted in the defense of physicians alleged to have provided inadequate remote advice to a passenger on an international flight who was experiencing a cardiac event. Represented a national bank against allegations that its Trust Department engaged in breaches of fiduciary duty, constructive fraud, tortious interference with contract, aiding and abetting and civil conspiracy, and caused damages alleged to be in excess of $50 million; and thereafter secured a full compromise of all claims after beginning trial of the dispute to a jury in the Arizona Superior Court. Represented and advised a national bank in a series of actions filed in the Arizona Superior Court alleging breaches of fiduciary duty, violation of securities laws, and other business torts by bank investment managers. Securing title to commercial real estate for a developer by pursuing a claim of equitable subrogation. Litigated in the Arizona Superior Court and before FINRA on behalf of a multinational financial services company and one of its subsidiaries in a dispute with a former affiliate in response to allegations of breach of contract, wrongful termination, defamation of business reputation and intentional interference with contracts. Defended a Fortune 500 international construction company with respect to claims allegedly in excess of $100 million arising out of a failed Arizona hotel/retail/commercial development project; and obtained summary judgment on all claims. Represented the seller in the Arizona Superior Court in both the defense and pursuit of multiple claims arising out of a failed residential development project in Gilbert, Arizona. Tried to favorable judgment in Bankruptcy Court a dispute over ownership to the access road to a prestigious Arizona golf resort and development; sustained the judgment on appeal in the Ninth Circuit; and defeated a Petition for Certiorari to the United States Supreme Court. Defended an Arizona public utility in multiple cases seeking to recover damages for wrongful death, bodily injury and property damage. Has argued multiple cases in the Arizona Appellate Courts and the Ninth Circuit.